Brody And Santa Are Good Friends! 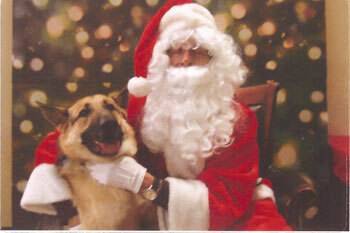 We went to Petsmart yesterday to have pictures taken with Santa. Santa recognized Brody right away. Attached is the photo with Santa. I love Brody to pieces! He seems very happy and I am so glad he picked us to live with.